Does the cold weather have you and your kiddos down? We can solve that! Greater Morgantown has activities for the whole family to enjoy. Whether you’re planning a party, looking for family-night ideas or you want your kids to unplug from technology and use their creativity, these top 10 locations are a must-do this holiday season. Spark! Imagination and Science Center is a great way to spend a cold, snowy day. 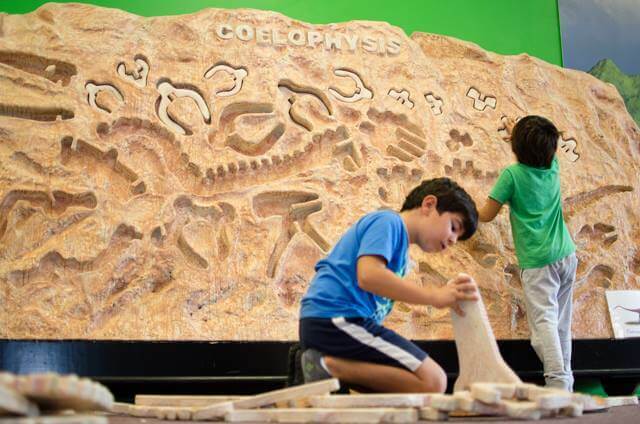 Families can dig for dinosaur fossils, engineer a ball ramp, build with giant blocks, investigate nanoscience, discover Space Weather, and play dress-up with Sparks! hands-on exhibits. additional family members for only $2. If your kids are full of energy and want to jump around (literally), they can do just that! Launch Pad Trampoline Park is a great place where they can unplug and enjoy indoor jumping fun. Some kid favorites are playing on trampolines, diving into foam pits, shooting some hoops, and more! 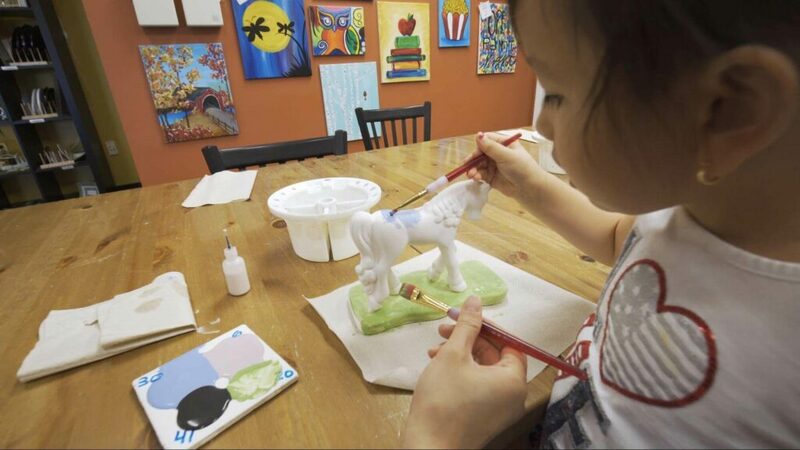 Kids can paint pottery and create works of art at The Wow Factory in Star City, where story painting and guided canvas painting classes are available to kids! If you want your kids to experience their creative side and paint something they can keep for years, this is the place to go! Get inspired by taking the kids to an art venue around town like the Art Museum of WVU. The museum’s art collection includes paintings, prints, works on paper, sculpture, and ceramics, and totals more than 3,000 works of art. If you want to support the local theatre and are looking for a concert or play that everyone will enjoy, check out the WVU Creative Arts Center. You could also visit the Monongalia Arts Center (MAC) where you and the kids can enjoy a ballet or participate in an art education class. 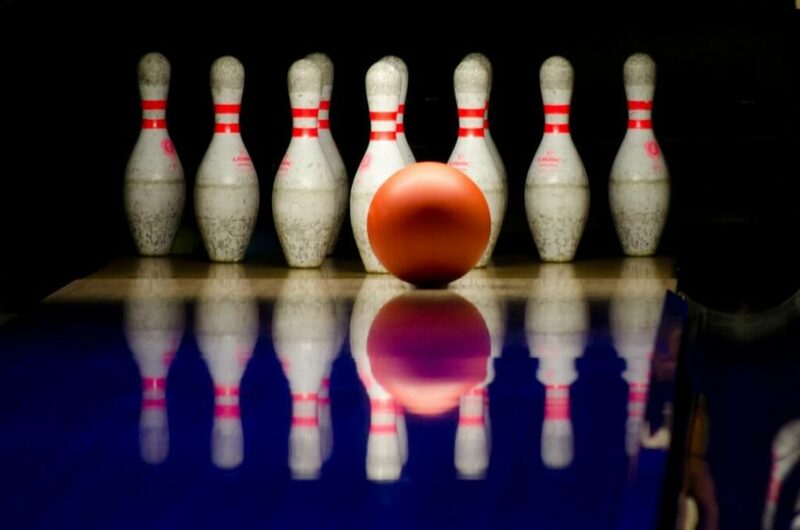 Teach the kids how to bowl at Suburban Lanes! They also offer cosmic bowling with a light show on Fridays and Saturdays. Work together as a team for family-night out and experience new talents! Another option is to take the kids to look around Pinocchio’s Books and Toys in downtown Morgantown. The store has many items ranging from books, trains, and figurines to puppets and music. You can also find comics and graphic novels at Gary’s Comics and More. Morgantown Public Library often hosts library time for babies and their parents to enjoy stories, songs, play stations, and time together. Story time sessions for children that are toddler-age and older are available, as well. You can also find sessions at Cheat Area Public Library and Clinton District Library. Where else do you enjoy indoor fun with the family? Share your favorite spots by using #TourMorgantown!